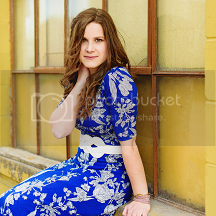 In March I got to take the Magic of Light workshop by Summer Murdock, oh my word. It was just incredible, and gave me a better grasp on lighting than I ever have had before. "If you aren't grabbing your camera to experiment, you may not be paying enough attention to the light around you." This was probably the most convicting statement from the workshop material, at least for me. I rarely shoot just for myself, and this really pushed me out of my comfort zone to do that. And then I couldn't believe all the everyday light + shadows I was missing. I cannot recommend this course enough -- if you ever get the chance, DO IT. Summer is just the best and overall it felt like a fire hydrant of profound knowledge, education, photo examples, tips + tricks, plus the personal feedback and community vibe were so encouraging. Here are some of my favorite images I shot throughout the course..I will never see the light the same again. These look amazing Hannah! I love how you captured day to day in a unique way! LOVE IT! Wow, those are amazing photos. I'll definitely be paying more attention to the light & shadows around me today! the. light. I LOVE these. This farm girl especially loves the one of the sunset behind the bin. Great job, Hannah! Beautiful shots, Hannah! I love how finding the perfect light can transform something ordinary into an amazing photo!